The newspaper of record is working with a 5-star hotel brand to help make good on the goal of doubling digital revenue from $400 million to $800 million over the next 5 years. 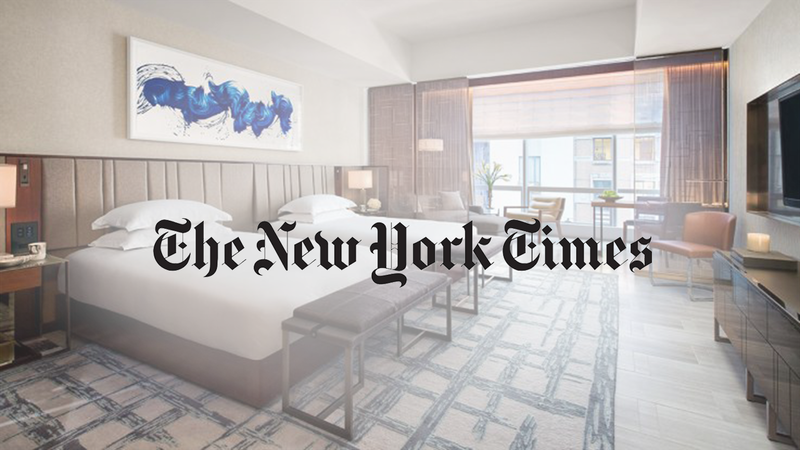 But a new collaboration between The New York Times and Park Hyatt hotels is about more than bringing in new subscribers. "We are always looking to find new ways to reach new audiences," Meredith Kopit Levien, the Times' chief revenue officer, told Adweek. The partnership includes full free access to the Times website for the next six months for guests of the 36 Park Hyatt locations worldwide. There will also be a series of Times-sponsored live events at select hotels. The Times expects to benefit from Park Hyatt's global reach, while Hyatt likes the Times' demographic. "We've been laser focusing on the business and leisure traveler" as well as the "global connoisseur" explains Sandra Micek, Park Hyatt's svp of global brands. "We thought we could be doing more to speak to them in a more integrated way if we actually partner with someone like the New York Times as opposed to just buying ads," she said. A trio of live events will focus on food and culture at Park Hyatt hotels in New York, Paris and Tokyo. "The New York Times TasteMasters, presented by Park Hyatt" events will pair two leading figures from the worlds of art, fashion and cuisine in conversation with Times journalists. Each event will include a tasting of a locally-sourced menu curated by Park Hyatt and The Times. The first will be held tonight at one of the brand's newest locations, the Park Hyatt New York. "The Times has made a very substantial investment into the live experience business," said Kopit Levien. The Tastemasters series is a "great representation of how we'll continue to grow more and more live experiences." Park Hyatt will be featured in a paid post on Oct. 26 via the Times' T Brand Studio featuring video and other content from the events. Micek said the hotel is planning pairings at other Park Hyatt locations which will be featured on NYTimes.com. Kopit Levien called the Park Hyatt deal "the perfect embodiment" of the 162-year-old Gray Lady's determination to move beyond ad sales and subscriptions alone.